1-31-1966 ……. RUSSIANS LAND PROBE ON THE MOON. It’s hard to believe that next year will mark the fiftieth anniversary for humankind’s taking of its first steps on the Moon, the nearest celestial body to the Earth. Just three years before the historic Moon landing of the American Apollo 11 landing vehicle, space scientists the world over were still trying to figure out what the lunar surface was largely composed of. 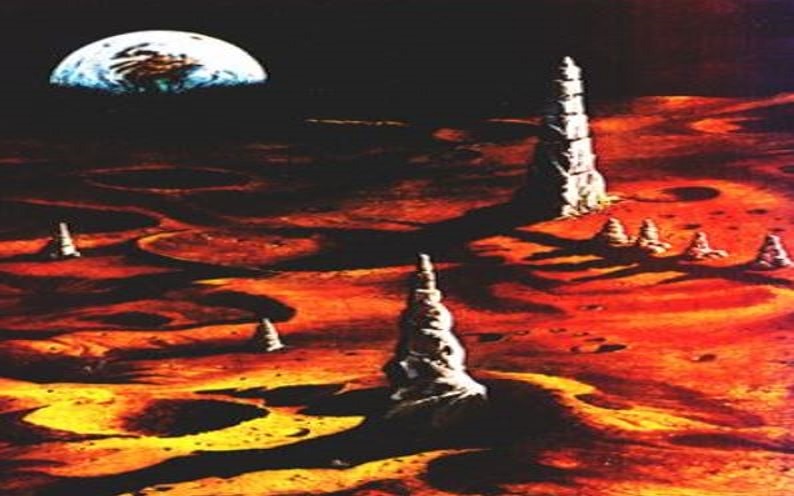 Patriotic contactees like George Adamski and Howard Menger, who had been to the Moon courtesy of the Venusians, told personnel of the National Aeronautics and Space Administration (NASA) working on the proposed Moon shot that our astronauts would have nothing to fear in that regard, that they would find a hard and safe surface to walk on. Perhaps the NASA scientists and technicians working on the Apollo program already knew about the lunar surface conditions; but they didn’t want to share that information with the Soviet scientists. After all, we Americans were in a race against time with the Soviets to put the first astronauts on the Moon and return them safely to Earth. If the Soviets wanted to know about the lunar surface, the head honchos at NASA probably decided it would be better if they wasted their own time and money to figure it all out. Why cut them any slack, and give them a leg up on us in the ongoing space race? 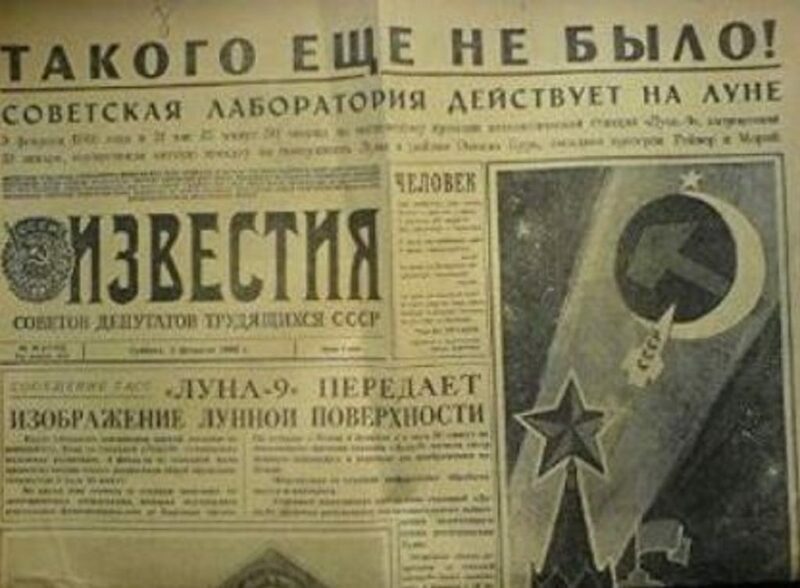 Just one month into 1966, the Soviet Union did just that. On 31 January the Soviet space program successfully launched their Luna 9 probe. It “soft landed” on the Moon on 3 February by employing its powerful retro-thrust braking rockets to set the 3,200 pound craft gently down. Of course, the Soviets amazed the entire world with this landing. Americans were beginning to wonder if NASA was going to maintain fidelity with the late president John F. Kennedy’s stated ambition for the United States of America to put the first astronauts on the Moon. With the Luna 9, it was clear that the Soviets had taken a significant leap ahead of us in the space race. What was even more impressive was that the Luna 9 probe, after landing without any problems, was able to deploy a television camera and send live photos from the surface of the Moon. One of the biggest discoveries about the Moon revealed by this television transmission was the firm ground that the spacecraft touched down upon. This literally served to explode the famous theory of a dust-covered lunar surface in which any space vehicles would simply sink out of sight (Otto Binder, “Our Space Age” syndicated panels, 28 and 30 March 1966, Bell-McClure Syndicate, Paterson News, New Jersey). By way of explanation, the NASA spokesman declared that, “At the same time that the Orbiter 2 was photographing the area, the Sun was about 11 degrees above the lunar horizon during the sunrise phase of the Moon’s two-week long ‘day.’ This accounts for the long shadows,” the spokesman asserted, hoping that his conjecture would suffice for the members of the press corps present for his Lunar Orbiter 2 mission briefing. The source for this information was a United Press International (UPI) report dated 22 November 1966, as published in the Wednesday, 23 November 1966 edition of the Philadelphia, Pennsylvania, Inquirer newspaper. Remember, this was almost three years before the launch of the Apollo 11 mission, whose destination was ultimately designated as the Sea of Tranquility, the location of these strange lunar protuberances and domes. Clearly, NASA officials were desirous to find out the true nature of these structures. It is doubtful they accepted the first premise offered of them being something “indigenous” to the Moon and spaced at random” insofar as the true height of each object could not be determined. Some of the objects were also purely conical in shape while others resembled obelisks. These are not naturally occurring shapes. Some kind of fervent activity appeared to be taking place on the Moon. It might signal extraterrestrial construction on our own supposed “natural” satellite. Keep reading this site for Dr. Raymond Keller’s The Moon Is a Venusian Colony, Part II, where the “Cosmic Ray” reveals other unique lunar phenomena and demonstrates how the strange protuberances on the Moon actually stumped all of the JPL and NASA’s so-called lunar “experts.” Learn what key figures in the international ufology community were saying as NASA was preparing to launch the Apollo 11 and American astronauts would walk on the surface of the Moon. You can be sure our explorers were not alone up there. I recently received a very interesting telephone call from an eyewitness ‘WA’ in Ft. Lauderdale, Florida. This is in reference to an incident that occurred in 1973 in Douglasville, Georgia, as well as continued UFO encounters…culminating to present day ‘humanoid’ sightings in Ft. Lauderdale, Fl. In 1973, WA was in the back seat of his mother’s car with his brother. They were traveling south on Powder Springs Highway towards Douglasville, GA one early evening (dusk). They began to notice cars speeding past them and driving recklessly. In fact they witnessed one car careen off the road and flip into a nearby field. 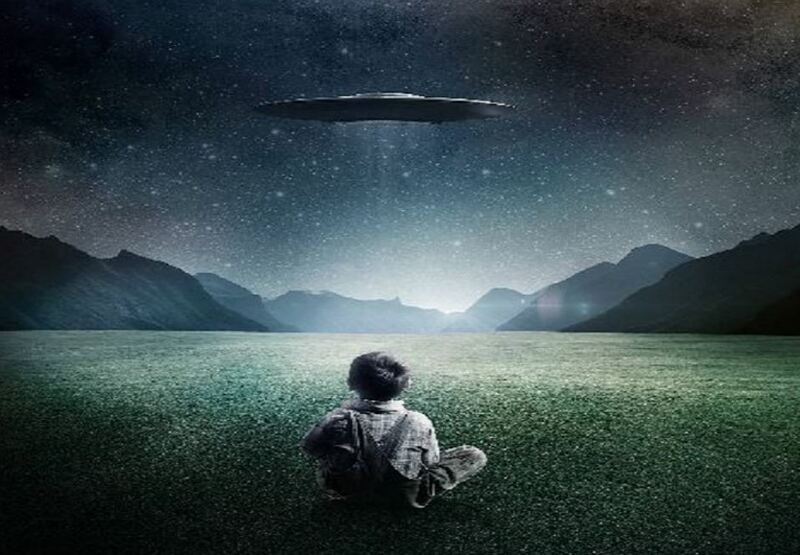 The boys looked out the back window and observed a huge saucer-shaped craft hovering behind their car. Their mother hit the gas and headed directly to their home on Hickory Rd in the Hickory Estates in Douglasville. They quickly exited the car and rushed inside, the boy’s mother telling them to go to their rooms upstairs and to stay there. She called the local police to report what had happened. The police were very busy taking other calls from local residents reporting a flying craft over the neighborhood. When the boy’s mother got off the phone, she heard loud noises coming from the roof. She yelled for the boys to come downstairs, fearing that they may be in danger. All three ran outside and witnessed 3 short-stature beings dressed in white ‘NASA-like’ space suits without helmets, standing on top of the roof. 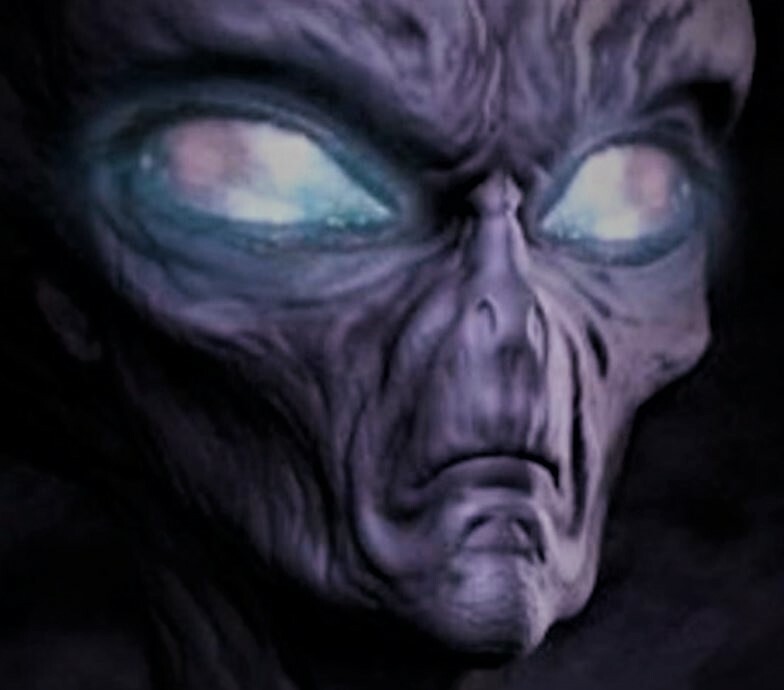 WA stated that these beings looked ‘perfectly human,’ with regular facial features and ‘slanted eyes.’ They stood still and looked directly at WA and his family. They quickly went back into the house, waiting for police. In the meantime WA and his brother were in their shared bedroom. About the same time the police came into their house, one of the beings ‘came through the wall in the bedroom.’ It didn’t say anything, but WA said that ‘we had a strange sensation and possible lost a small period of time.’ The brothers were paralyzed during the encounter and could not react. When the being exited through the wall, they regained their faculties and screamed, running downstairs to their mother and the police. One of the officers quickly went upstairs, but found nothing. A few hours later that same evening, Federal authorities arrived and questioned the families in the neighborhood, including WA and his family. WA remembers that his father, who had been at work during the incident, was annoyed that Federal authorities were in his home. His father always maintained that the entire incident was some sort of mass hysteria and actually punished his sons when they would mention the incident. After the encounter, WA had a oozing sore develop on his ear. It never healed and eventually started to expand in size, until a year later a ‘small hard chip-like object’ broke through the skin. He showed the object to his father, who immediately threw the object into the trash and punished WA severely. About the same time (WA recalls it was the summer), WA and his brother spent the night outside in the back of his father’s open pickup truck. 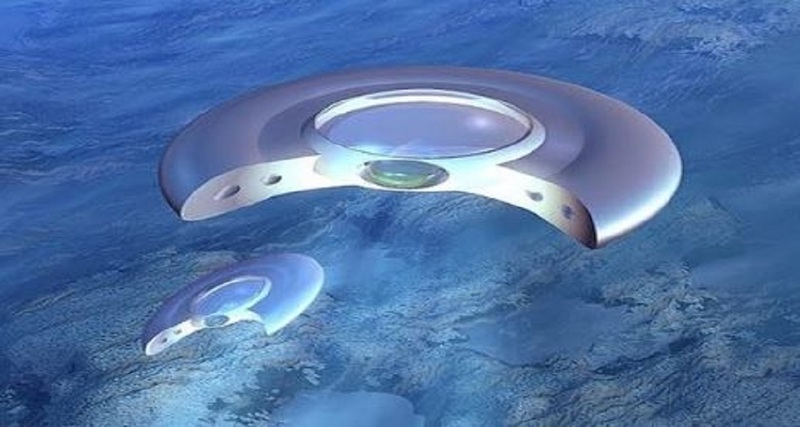 As they gazed into the night, the same saucer-shaped craft descended from above and hovered over them. WA is positive that they lost time during this encounter. These occasional UFO encounters have continued over the years. Fast-forward to the current time. WA lives in Ft. Lauderdale, FL. 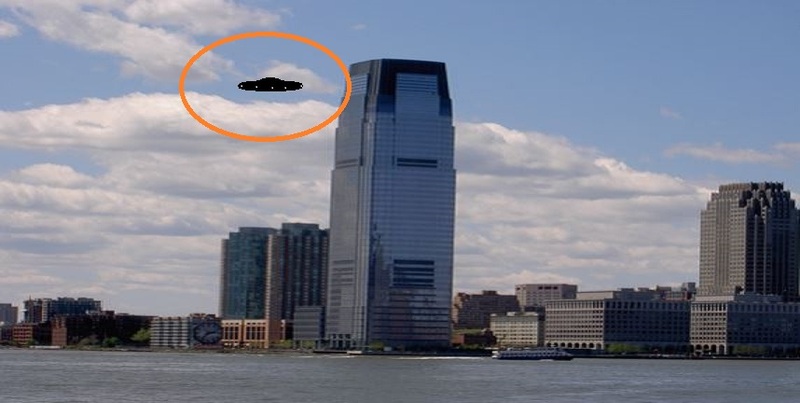 He has witnessed ‘upside-down funnel-shaped craft ascend from the ocean’ at different times. He also reports that there have been ‘humanoids’ seen throughout the Ft. Lauderdale area recently. NOTE: The above image is CGI. On 28th September 2017, a vineyard owner would witness a luminous glow settle on his land. He went to investigate. Upon being no more than fifty yards away, three beings exited the glowing craft. When they noticed him, he suddenly became victim to some kind of paralyzing force before losing consciousness. He would awaken to find the three creatures and the glowing craft gone. Only three nights later on 1st October, a similar encounter would befall a resident of the small town of Bry as he walked his dog. That same evening in Bergerac, a gentleman would become paralyzed when he noticed a strange silver disc “resting on three legs” close by as he went to close his gate. When the disc took off, he regained the use of his limbs. Four nights following this encounter, on 5th October, a group of people out in the country near Clermont-Ferrand noticed a large craft in the sky heading in their direction. As it approached they all experienced a strange feeling in their limbs. They were rapidly unable to move until the object had passed completely. Two days later, in Monteux, a local resident would suffer a similar fate as he ran towards a strange craft resting in a field. The use of his limbs only returned when the craft had disappeared. NOTE: The above image is CGI. In August 1993, 27-year-old Kelly Cahill, her husband and three children were driving home after a visit to a friend’s house. Their routine journey would soon become a harrowing trip into an unknown world of strange beings that occupied space but were void of color as we know it. The Dandenong foothills, near Belgrave, Victoria, Australia would have its location forever linked to one of the most unusual sightings of a strange creature in Ufology archives. 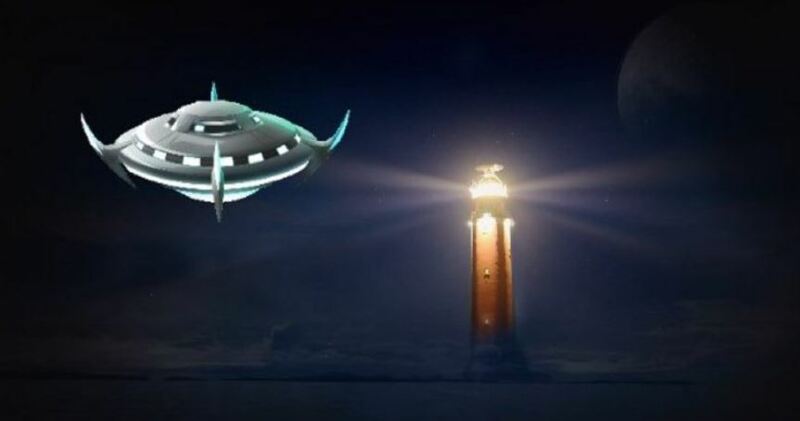 After midnight, the Cahills were on their journey home when they first noticed the lights of a rounded craft with windows around it. 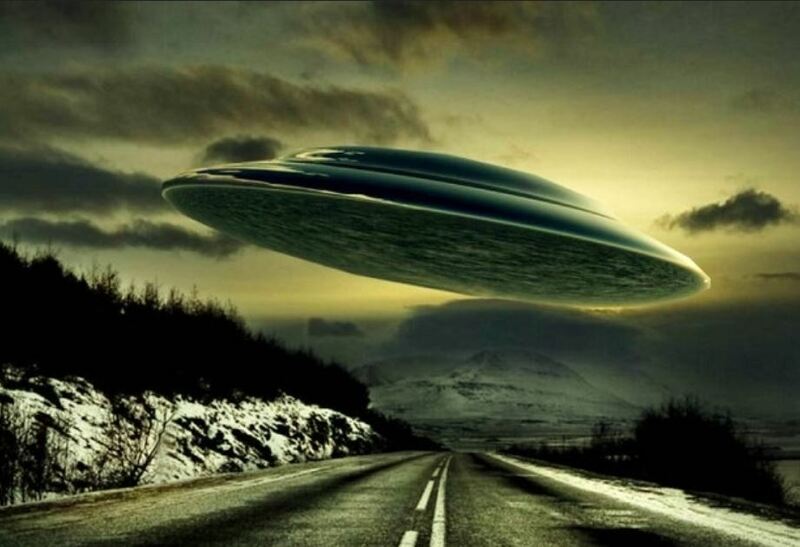 It silently hovered above the road. 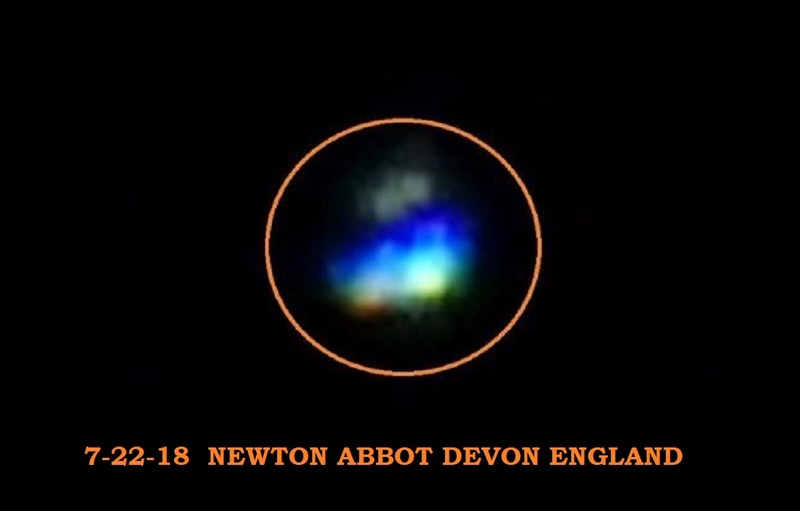 Different colored lights were clearly visible on the bottom of the object. The UFO was so close to the ground that Kelly thought she could see people through the window openings. As she began screaming to her husband what she was seeing, the craft zoomed off to their left, disappearing as quickly as it had made itself known. Continuing their drive home with a renewed interest in the sky, they suddenly came upon a light so bright they were practically blinded. Shading her eyes from the intense light with her hands over her eyes, Kelly begged of her husband, “What are you going to do?” Her husband, now frightened to death by the glowing presence before them, replied, “I am going to keep on driving.” Within what seemed only a second or two, Kelly was now very relaxed, suddenly calmed by the absence of the UFO. The first words out of Kelly’s mouth were, “What happened, did I blackout?” Her husband said nothing, as he had no answer to give his wife. He cautiously drove his family home. Upon their safe arrival Kelly could smell a foul odor, like vomit, and she suddenly felt as though something was missing from their drive home. Something was missing… an hour or so of time had vanished from her and her family’s life. That night as Kelly undressed for bed, she noticed a strange triangular mark on her navel-a mark she had never seen before. It must have been created early this every night. But how? And why? And most importantly, by whom? Kelly suffered from general malaise for the next two weeks, and was taken to the hospital on two occasions, one for severe stomach pain, and another for a uterine infection. Kelly would recall the object they had seen in a slightly different place than she first remembered. It was hovering in a gully, and the UFO was big. She estimated it at 150 feet in diameter. She could also recall that when the object was first spotted, her husband had stopped the car, and both her and her husband had gotten out of the vehicle, and walked in the direction of the massive craft. To their surprise, they noticed another car stopped on the side of the road. As they walked toward the craft, they saw a creature unlike either of them had ever seen before. It was black, not a black color but black as if all matter was removed where its presence was. Kelly would later describe it as “not having a soul.” Kelly’s words for the alien were “void of color.” The black alien entity was taller than an average man, about 7 feet tall, according to Kelly. After being mesmerized by the sight of the being, she saw more of them. “Heaps of them” is how Kelly described them as she stared into the open field. The aliens were out there in the field, beneath the immense flying craft. The beings seemed to congregate in small groups, and one group glided toward Kelly and her husband, covering a hundred yards in a mere few seconds. Another group was approaching the other car which sat motionless near the hovering craft. Her great fear and dread would cause her to scream at the alien-looking entities to leave them alone. She remembered going unconscious, and then… she was back in their car. As strange as this encounter seems, it was not without corroboration. The occupants in the other car would come forward and tell almost an exact story, a story of abduction, mind control, and embarrassing medical procedures. This particular case is the only one to my knowledge to describe such a being, although there are some very strange aliens described in various accounts. We have no reason to discount the Cahill account, and it remains one of the best cases of alien abduction on record. NOTE: The above image is CGI. I was on my way home from work on the evening of January 19, 2018, around 6:12pm. As I turned off the main road onto a side road heading towards my house, I noticed some extremely bright lights in the distance. I stopped my truck as I could see out across the valley to a ski slope on the far mountain. The lights at first looked like a large plane, but they were too bright to be a plane. 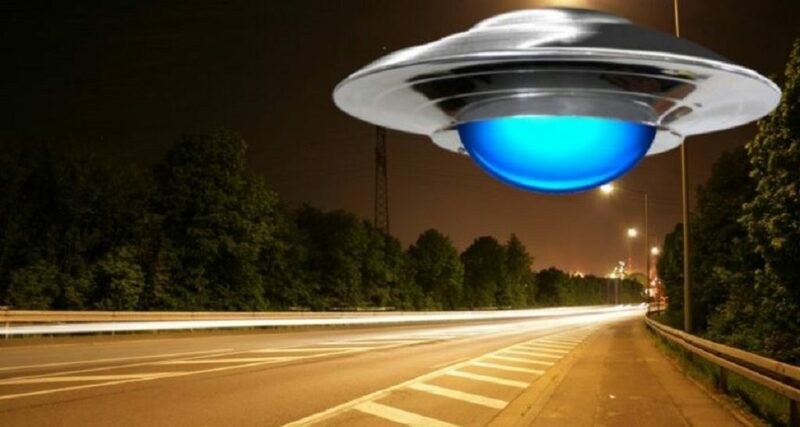 It was traveling towards the east, and I was heading towards the west so I continued down the road, and as I went around a turn in the road to the left, the craft seemed to turn and head straight towards me. 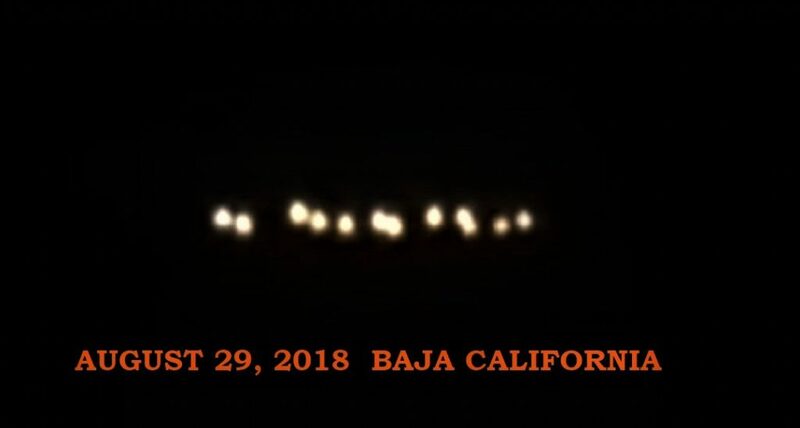 As I came up to the stop sign at the end of the road about a half of a mile from where I first saw the lights, the craft had came right up in front of my truck. I was at a T intersection were I had to turn left to my house, and the craft was maybe about 100 feet away just above the tree tops. I grabbed my cell phone to try to get a picture of it, but was having problems getting it to work. I tried several times but it just wouldn’t work at all. Once it went off seconds after trying to take the picture getting the dash board, then again when I held the phone pointing down at the cup holder trying to see what was the matter. I didn’t think the camera was going to work, and the adrenaline was making me not able to think right. I looked back up at the craft and it was moving off to the northeast over top the right side of my truck and disappeared overtop of some houses on the road. I drove the rest of the way to my house, adrenaline flowing, not being able to believe what I had just seen. As I went into my house I grabbed my cell phone to see why I couldn’t get it to work right, and see what was on it. That is when I discovered that I in fact did catch a picture of part of the craft, but did not have the entire craft in the shot. It did get a part that you could see what looked like lights, windows, and the side of the craft were it curved just below some windows. Prior to seeing this that evening I always thought people were seeing helicopters and things, but after seeing this with my own eyes, I believe what I saw that night. I am a U.S. Military Vet, and have been around a lot of Military helicopters and equipment, but this was like nothing that I have ever seen in my life before. NOTE: The above image is CGI. As she was driving on the A5 road towards her family home from Shrewsbury, twenty-year-old, Diane Foulkes would witness events that were fascinating and other-worldly. It was around 2 am and she was approaching the Montford Bridge which stretched over the River Severn. Suddenly, the entire area around her lit up. The source of this sudden glow of light was a circular object which was almost directly overhead. She watched the object for only a second or two before fear, and adrenaline kicked in. She pressed down hard on the accelerator, now in a hurry to reach her destination. To her alarm, the brightly lit object followed her. It remained at the same height and distance, but all the while, it casually pursued her vehicle. When she finally arrived home, she ran from the car and alerted her parents. Both her mother and father would witness the strange disc-shaped craft from the garden of their home. The craft made no noise of any kind and glowed a pale-yellow color. After thirty minutes it rapidly began to get smaller and smaller. As it did so, it began to change to an orange-red glow until finally it was gone. All three witnesses would assume the object was speeding away from them. Although Diane and her parents would largely keep the sighting to themselves, when a similar episode occurred, they would seek advice from the military. Rays Of Light Administer “Electric Shock” Sensation! Almost exactly two years later on 8th November 1966, Diane would encounter what seemed to be the same craft. And what’s more, the encounter would take place at almost the same spot as it had previously. 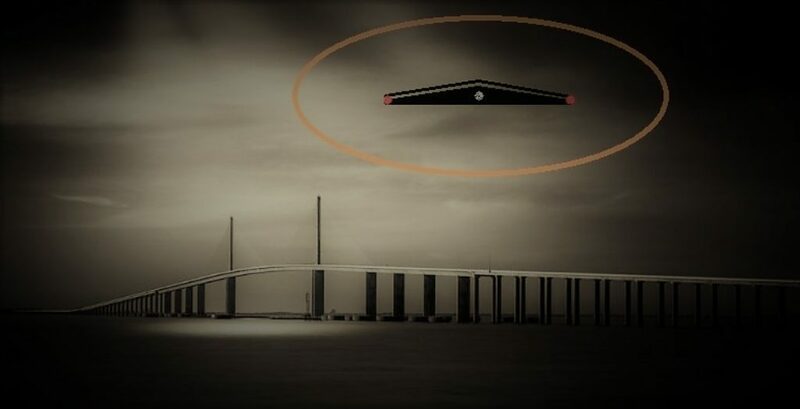 Just prior to midnight, as she neared the same bridge, the glowing round craft appeared in the sky overhead. This time, however, it was much lower to the ground than before. Diane would later report that she could see “rays of light” emanating from the airborne vehicle. As she had before, although somewhat calmer, she continued on her journey home. And, as before, the object followed her, maintaining the same distance throughout. At least initially. After several minutes the strange craft suddenly approached the moving car. As it made its way past, the lights from inside briefly penetrated the vehicle. She would describe feeling a “bump against the side (of the car)”, while at the same moment feeling a sensation like an electric shock in her neck. Simultaneously, the left-hand side headlight also went out. The object would back away again and then maintain its distance before vanishing. Shortly after returning home, however, Diane would begin to feel “very ill” for the rest of the evening. Two days following her second encounter, on 10th November 1966, Diane’s father would contact Flight Lieutenant Williams at RAF Shrewsbury. He wished to know if the military could shed any light on an incident along the A5 that had “left his daughter frightened by an object in the sky”. There was, he would report, even “burn marks” on the left-hand side of his daughter’s car, proving that something was most certainly over the road that evening. A letter, dated the 11th November, would arrive at the Foulkes’ home on the 14th. In it, it informed them that “no service aircraft had been flying in that area at the time of the incident”. Not that Diane seriously considered the military as being behind the bizarre sighting. Although she wasn’t sure exactly what it was she had seen, she believed it was probably connected to another local resident, Mr. Griffin. According to Diane, and many other townsfolk, Mr. Griffin was “reputed to have made contact” with the occupants of these bizarre objects. Furthermore, there were some who claimed he had even gone inside these other-worldly vehicles. Further still, the contacts of Mr. Griffin had taken place at the same bridge where Diane had witnessed the glowing disc. The incident remains unexplained. It is, however, far from the only UFO sighting in this region of the United Kingdom. NOTE: The above image is CGI. 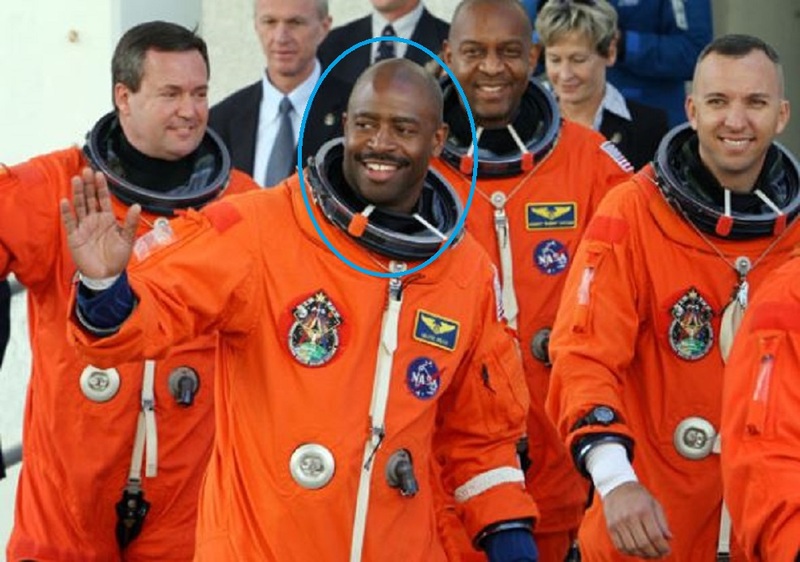 In a chat on Twitter with fans about his experiences in space, astronaut Leland Melvin who worked as an engineer on board Atlantis was asked by Scott Waring from UFO Sightings Daily if he had ever witnessed UFOs or intelligent alien life living in outer space. We know NASA for their misleading answers and in this case Leland Melvin has probably encountered some sort of bio form, living entities which inhabit the cosmic void. Already dozens of organic compounds have been identified in space, including formaldehyde, prussic acid, and cellulose. In short, there is an abundance of basic building blocks out there to allow for the evolution of these entities. These alien-organic entities may have migrated to all sectors of space – both within and without galaxies. Endowed with both mobility and intelligence, it is conceivable that some may have actually penetrated our zone of existence.